Former Massachusetts governor Michael S. Dukakis lambasted President Trump on Wednesday, criticizing Trump’s lack of military service and his recent attacks on the late US senator John McCain. McCain, a pilot in the Vietnam War, was shot down and imprisoned by the North Vietnamese for more than five years. He returned to the United States and served in the Senate for three decades, becoming the Republican presidential nominee in 2008. He died in August at the age of 81. “The helmet was bigger than he was. That was not good,” Trump said. 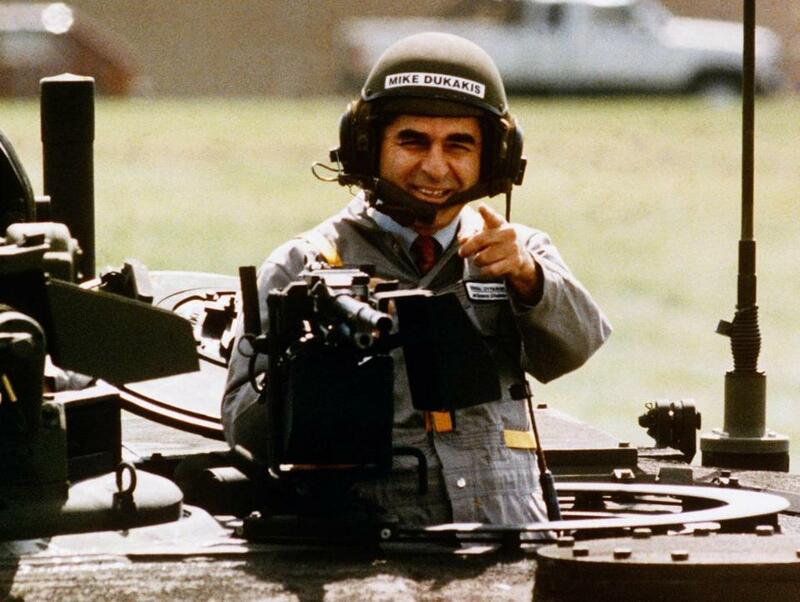 In 1988 Democratic Presidential candidate Michael Dukakis took a ride in a M1-A-1 battle tank. Dukakis, now a professor at Northeastern University, focused in a telephone interview on Trump’s lack of military service. 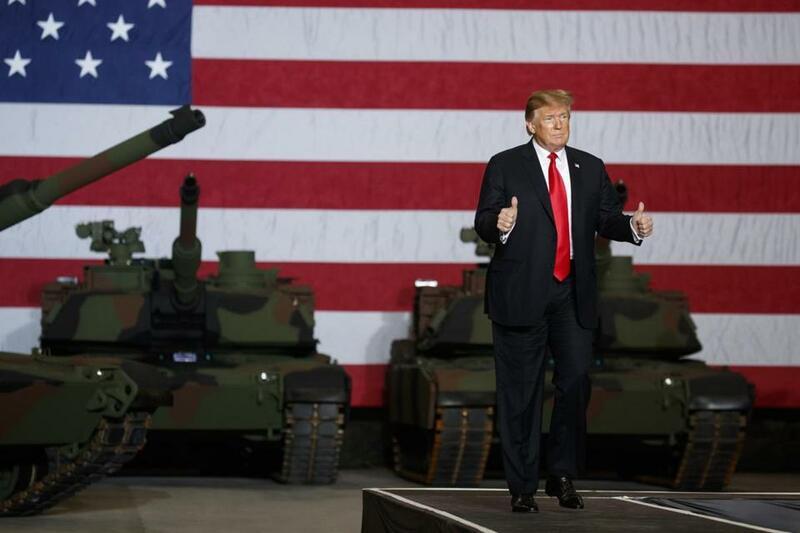 “Trump claimed he had bone spurs in his heels, and he can’t even remember where they were — just another rich kid who used his father’s influence to avoid military service,” Dukakis said. During the 1988 campaign, Dukakis donned a helmet and rode in a tank during a stop at a Michigan factory. The photo opportunity backfired. Dukakis’s Republican rival, then-Vice President George H.W. Bush, ran campaign ads using footage of Dukakis in the tank. Most politicians since then have avoided wearing anything on their heads, but Trump often wears caps bearing his ‘‘Make America Great Again’’ campaign slogan.